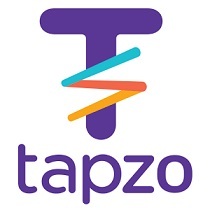 Download Tapzo application on Android or iOS (https://goo.gl/uEziOM). For First time user Transact for More than Rs.50 or more. Use Coupon Code TPRUPAY50 and Get 50% cashback. For existing user Transact for More than Rs.100 or more. Use Coupon Code TPRUPAY10 and Get 10% cashback. Make your entire payment through RuPay Debit Card only. Offer valid for new users who are transacting for the first time on Tapzo.